« The Revolution will be Televised? A Dialogue with the Urban Landscape. 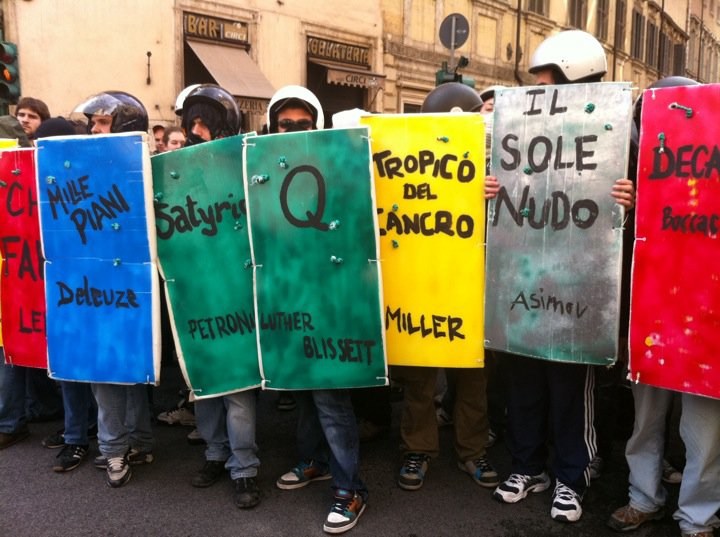 Students in Roma protest using 'literary shields' and have given rise to the so-called Book Block. Students revolts have spread in Italy and England in the past few weeks. 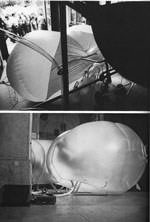 The images that I see coming from my country remind me of interactive urban installations organized by Coop Himmelblau in the 1960’s and 1970’s . 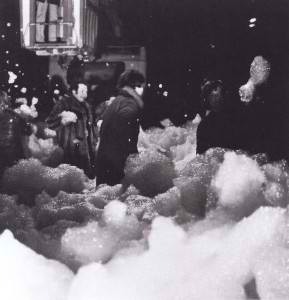 These are called ‘soft explosions’, such as the covering of a street in Vienna with foam,or the appearance in the streets of Paris of habitable ‘bubbles’. Soft Space. Coop Himmelblau. Vienna, 1970. Italian students today put the art in revolt. As the students recount, it was a spontaneous process started one November afternoon at the University. Each student proposed titles of books;they wanted to represent that ‘ culture is the only defence against a government who wants to demolish it’. The Book Block protest plans to make an appearance again on December 14 in Rome. The structure for the website is a little bit off in Epiphany. Even So I like your website. I may need to install a normal browser just to enjoy it. Yes! Please do..I would love for you to be able to enjoy SketchBloom as intended. I took a break from posting but will be back soon 🙂 with new poetry and art.